Welcome to Fallin Career and Technology Center. 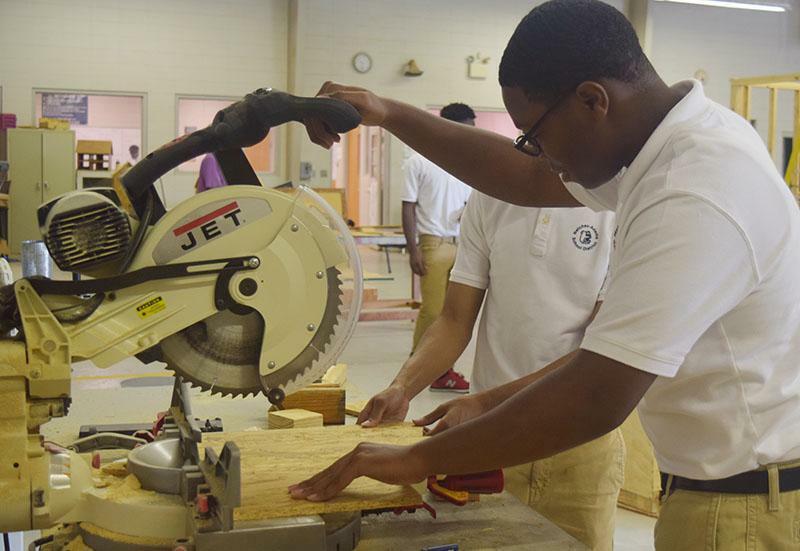 Our goal is to support innovative CTE programs that will prepare our students to succeed in their education and careers and poise them to flourish beyond high school. We are dedicated to helping graduates prepare for a career field where they will earn a living wage that offers advancement and lifelong learning opportunities. Career Pathway Experience (CPE) is the new name for Cooperative Education. CPE provides the students the opportunity to take knowledge and skills learned in the pathway classroom and to apply and test that learning in the workplace. The CPE course will foster self-directed learning; strengthen the development of core academic skills through application in authentic situations; allow students to explore career options; enhance communication skills, leadership, and problem-solving; and contribute to community economic development. The student will benefit from the CPE course due to the school’s ability to meet the needs of a diverse student population. The auto/collision repair industry is growing every year and the need for trained technicians is expected to increase. This means that students can be confident that auto/collision repair field will continue to be a solid career choice with even more opportunities in the future. First-year students focus on hand skills, basic welding, wheel and tires, car inspections, study metal analysis, basic sheet metal straightening and learning the basics on body filler, basic electrical, basic damage analysis, basic brakes and prep for refinishing. Second-year students concentrate on metal finishing, estimating, advanced wheel and tires, diagnostics, frame, and unibody repair, suspension, wheel alignment, brakes, welding, advanced refinishing, engine and transmission removal/ install and customer relations. Construction Systems explores how mankind shapes the world using current technology to provide solutions for society’s needs. This course will explore the different fields of construction. Students get the opportunity to experience hands-on activities in a laboratory setting. Lab activities will center on the most common construction activities found in Light and Commercial Construction. Career opportunities and job qualifications will be discussed throughout the course. Personal safety, energy use, conservation, and environmental issues are addressed as related to all fields of construction. Students are required to take The National Center for Construction Education and Research (NCCER) test. NCCER is the training, assessment, certification, and career development standard for the construction and maintenance craft professional. NCCER credentials can lead to careers in construction which is a great opportunity for students graduating from high school who want to begin working. The Digital Media Technology (DMT) program is a two-year program that provides instruction in the basics of photography, graphic design, video, audio, and web design. Digital Media Technology I encompasses the foundation skills necessary in the digital media industry. Content such as safety, ethical issues and production, photography, graphic design, print production, and music production will be taught. DMT II encompasses the foundation skills necessary in the digital media industry. Video content such as a preparing to edit, telling the story, editing basics, and finishing the project will be offered to students. 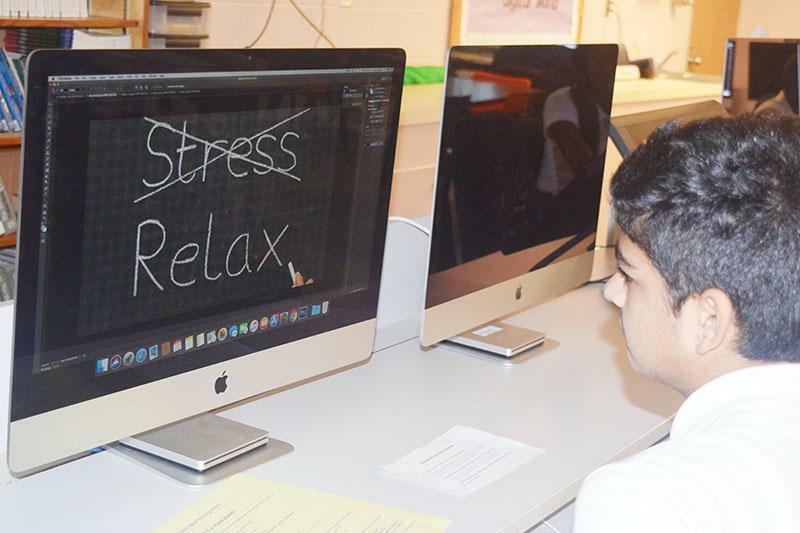 Basic animation is taught to all students to explore their creativity. The Technology Student Association (TSA) is a national organization of students engaged in science, technology, engineering, and mathematics. TSA is supported by educators, parents and business leaders who believe in the need for a technologically literate society. Members learn through exciting competitive events, leadership opportunities and much more. The diversity of activities makes TSA a positive experience for every student. This two-year program is for students who want to influence the most important years of human development. In the course, students learn how to create fun and educational environments for children; how to keep the environment safe for children; and how to encourage the health and well-being of infants, toddlers, and school-aged children. This program prepares High School students to become competent in childcare rules and regulations, learning environments, principles of child development, trends and issues in early childhood education and classroom management techniques. Upon successful completion and satisfaction of minimum requirements, students may earn the Early Childhood Professional Certificate. Students will receive hands-on experience by visiting local childcare centers to obtain additional work-related experience. Family, Career and Community Leaders of America (FCCLA) is a nonprofit national career and technical student organization for young men and women in Family and Consumer Sciences education in public and private school through grade 12. Students who become a member of FCCLA will have the opportunity to make a difference in their families, careers, and communities by addressing important personal, work, and societal issues through Family and Consumer Sciences education. Health Science is a two-year skills program that introduces students to health careers, the basic health sciences, and basic health career skills. In year one, students learn about basic health care skills, legal and ethical health issues, medical terminology, body systems, and health care career possibilities. 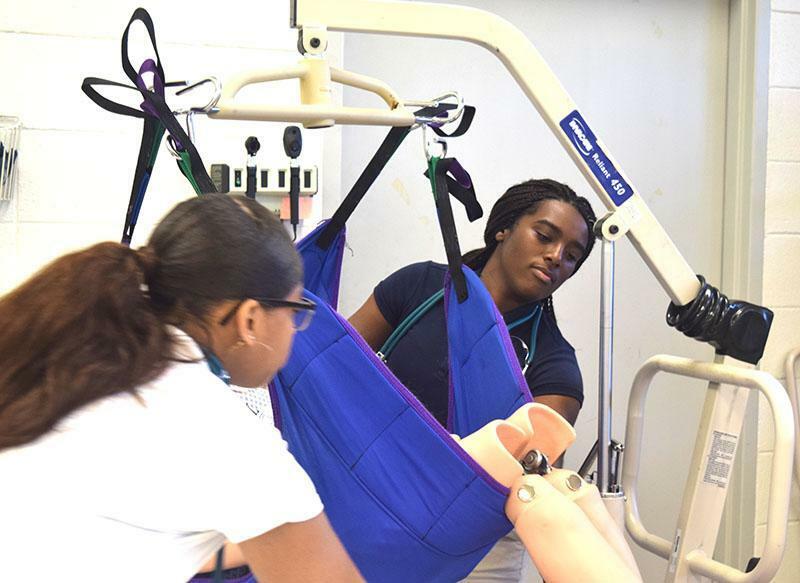 In Health Science II, the primary emphasis is to engage students in advanced skills while gaining an in-depth knowledge of health care careers, including job shadowing experiences in health care facilities. Fallin has partnered with Natchez Merit Hospital and Adams County Nursing Center allowing students to receive clinical hours. Students are encouraged to become a member of HOSA. HOSA is a national student organization recognized by the U.S. Department of Education and the Health Science Education (HSE) Division of ACTE. HOSA's two-fold mission is to promote career opportunities in the health care industry and to enhance the delivery of quality health care to all people. HOSA's goal is to encourage all health science, instructors and students, to join and be actively involved in the HSE-HOSA Partnership.